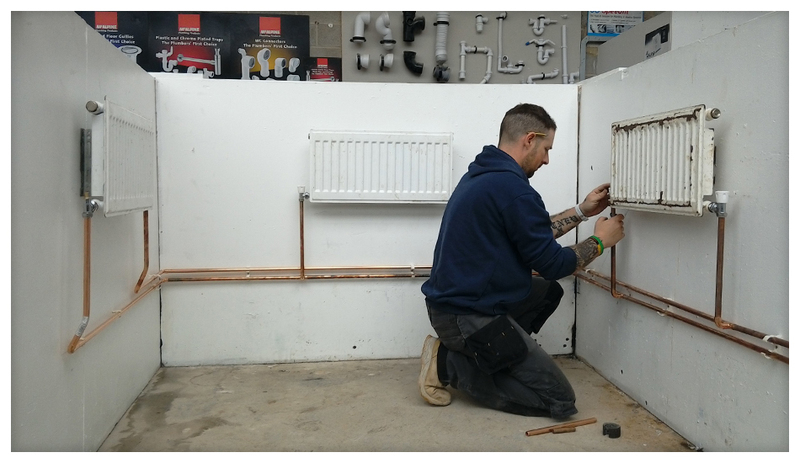 The 5 day intensive plumbing course is a very hands on practical course aimed at arming you with the knowledge and understanding to confidently take on plumbing jobs around the home or start up as a plumber offering a variety of plumbing services to your local area. 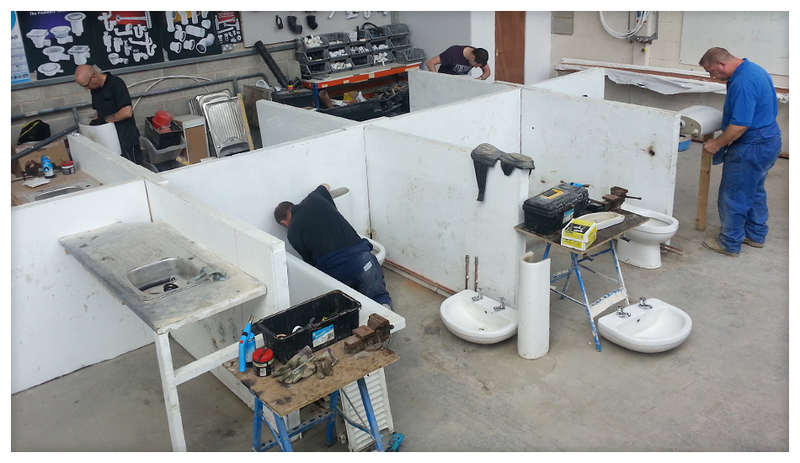 The plumbing course is suitable for total beginners with no previous experience or tradespersons such as tilers, plasterers, joiners, kitchen fitters etc who wish to undertake plumbing tasks from changing taps, plumbing in a kitchen sink including a washing machine to full bathroom replacements including fitting of radiators in order to gain more work and income. In the current climate the tradesperson who can do the whole job to a customer tends to gets the more jobs leaving the customer without the headache of finding multiple trades to complete a home project. Our 5 day plumbing course will provide you with a great insight and understanding of the plumbing trade whether you are a total beginner or have some previous plumbing experience. Plan and install a bathroom (bath, taps, toilet, basin and all wastes). Installation of the bathroom will be with copper pipe and fittings and the use of a pipe bender and soldering ‘end feed’ joints to create a neat customer standard job. 1st and 2nd fix installations explained and planned before bathroom installing proceeds. Bathroom will be tested up to mains pressure and should there be any leaks, they will need fixing! Before the toilet is installed a full strip down and full explanation of internal cistern fittings and different types of flush mechanisms you will come across. Fault finding, diagnosis of toilet flush problems and how to repair different faults. Fill radiator system up to pressure and bleed air. Check for leaks and then undergo a common fault finding and valve replacement. Drain down techniques and heating systems explained. Next you will get your first job add a garden tap to your completed kitchen pipework just like a real job! Then make sure it works. We then explain how to install a shower (thermostatic bar mixer and electric shower). Fitting of tap connectors including flexi ‘WC assembly including all internal fittings’ Fault finding and repair ‘Bathroom taps and wastes fitted and explained’. Fitting of kitchen sink taps and waste ‘Strip down a kitchen tap, repair washer and re-test’ Plumbing in a kitchen sink with hot and cold outlets for a washing machine, then water test everything under pressure. Please feel free to arrange a visit prior to booking. Take the tour and have a chat to students actually on the plumbing course. To book this course we require a £100 deposit. The balance of £350 is then due on your first day.